Industries across the board like agriculture, supply chain, logistics, oil and gas, manufacturing, finance, health, travel and tourism, telecom, construction, eCommerce, and, even, the government are trying to explore how to exploit this technology. That said, issues like cost and security are often spoken of as concerns while going about trying to adopt IoT in the business operations. Let us now look at some of the concerns of the business stakeholders that are impeding IoT adoption. All the sensor data that the organization collects becomes the raw material for making data-driven business decisions and for formulating strategies. A huge amount of data is constantly in motion, which is perceived as being extremely vulnerable to breaches. One of the challenges is the many disparate vendors who provide the hardware. To mitigate these challenges data carriers, network services, and IoT solution providers are joining hands to secure the data at rest and in transit. This is an extension of the first point. All that data flowing around through so many systems has given rise to a Wild West-like situation in the network world. Forces with nefarious intentions are always striving to gain access to the data. In response, IoT solution-providers have taken great strides in bringing in token-based authentication and other encryption to prevent such intrusions. 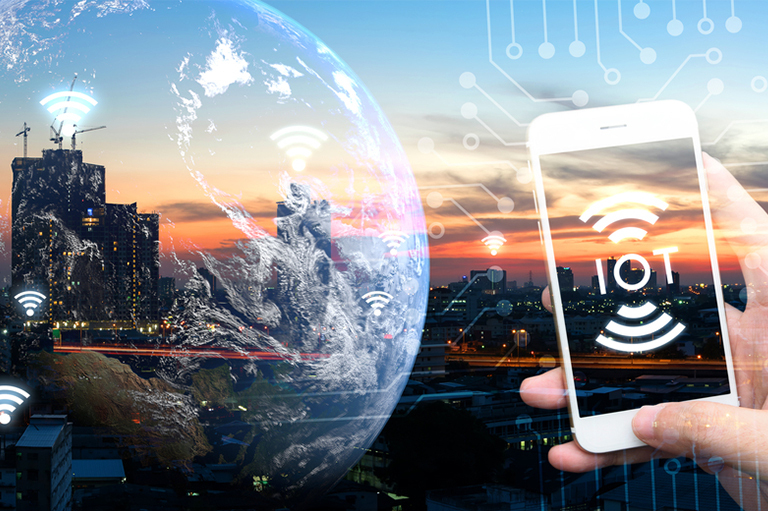 The IoT world is still in its nascent stages and is yet to achieve the necessary scale to bring down unit and implementation costs. The hardware and implementation costs combined can burn quite a hole in the pocket. Devices are on the road to becoming cheaper -as the IoT world’s equivalent of Moore’s Law starts to take root. That apart, the IoT service providers have been proactive in creating their IP and accelerators to bring down the implementation time. Moreover, by leveraging a global delivery model, the people cost can be brought down immensely. All that helps bring down the implementation cost. In several sectors, the full potential of IoT is yet to be realized. Most companies are toying with a few implementation ideas and POCs and few concrete solutions are in place. This means that data is still being gathered about the possible impact, possible use-cases, and likely benefits. This is a natural phenomenon and the sector is going to settle down in the future. Sectors like Automotive and Oil and gas have projects in place. The Supply Chain and Logistics sector are already seeing benefits. We have ourselves written about the role of IoT in industries like Hospitality. It’s clear that with time IoT will pervade several sectors. With IoT, various types of devices will be feeding the system with an unfathomable amount of data. Scalability, security, reliability, and availability of the system will be put to the test. Will the systems, processes, and people come through? This will call for more than a technology change. The speed of decision-making will have to be much faster, actions will have to be taken much faster, and job roles and skills will have to transform. Current workflows and processes will exist in limbo over the process of adoption but will have to be jettisoned after that. Organizations that are early in this cycle are taking the bull by the horns -they are creating a clear picture of what could change and the impact that change would bring. All stakeholders are being made a part of the transformation and information flows are comprehensive and transparent. The adoption process will be disruptive -but the benefits will be worth it. As with any new technology, the lack of experts is a key hindrance in realizing IoT’s full potential. Talent with the technical know-how and the acumen or understand the business implications are scarce. But, things are changing. Creating an IoT-capable resource pool has become a key priority for many organizations. There still are challenges regarding the scalability of IoT implementations. Organizations are still not fully equipped with the capability to integrate a large number of devices and to collect the data constantly flowing in. This makes integration a bigger challenge. This is why organizations are choosing to partner with companies that have IoT-integration as a core competence. IoT is still new. It is important for organizations to start small. The suggestion is to start from one business process or a line of business, where it can have a considerable impact and then expand to other areas. The challenge is in identifying the appropriate use case. Too complex, and the implementation could fail. Too trivial, and the impact could be low. The selection of the appropriate use case often determines the future of the IoT initiative. Until the leadership throws its full weight behind it, the IoT ball will not roll. As we have already seen, this could be disruptive for the organization. This means that the tone for IoT adoption must be set by the leadership. It is up to them to show direction, allocates budget, identifies the areas of implementation, and make it an integral part of the company agenda. One can see that the IoT world has its own set of challenges. But by choosing the right partner and use cases and knowing exactly why they are implementing IoT, will help organizations make the most of their goals. IoT could bring about a transformational impact -it’s up to organizations to be ready to reap the rewards.